Digha is a seaside resort town in the state of West Bengal, India. You'll discover tucked-away gems like Dagara Beach and Amarabati Park. You'll enjoy a bit of beach vacationing at Mandarmani Beach and Udaipur Beach. 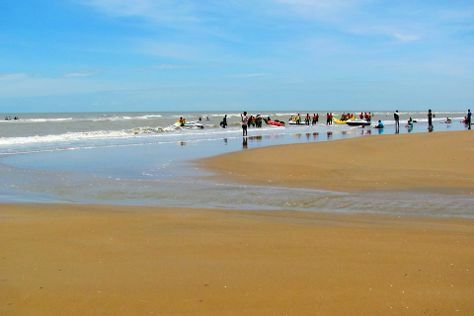 Take a break from Digha with a short trip to Chandipur Beach in Balasore, about 2 hours away. Next up on the itinerary: stroll through Digha Beach, enjoy the sand and surf at Talsari, take in the spiritual surroundings of Chandaneswar Temple, and find something for the whole family at KAJAL DIGHI WONDERLAND (ToyTrain). To find where to stay, ratings, maps, and other tourist information, use the Digha trip itinerary planner . Cap off your sightseeing on the 26th (Fri) early enough to travel back home.